Lake Jocassee consisting of 7,656 acres was created by damming the tributaries of the Keowee River by Duke Power. Since its waters come directly from cold, clear, protected Appalachian streams, the lake remains cold and clear throughout the year. It is an excellent area for scuba diving, swimming, and paddling, as well as fishing. 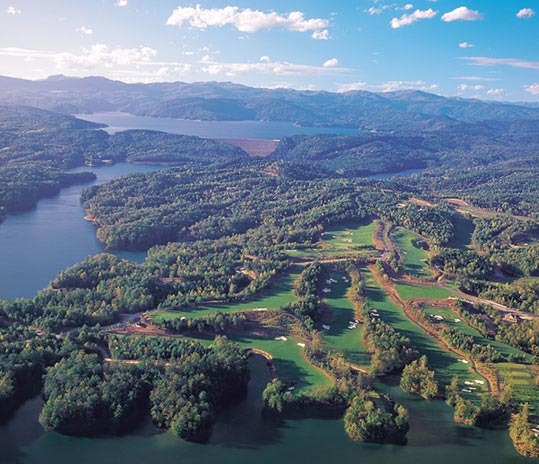 Lake Keowee, just below the dam, is one of our areas premiere destinations for South Carolina Mountain Real Estate, including two of the areas largest lakefront communities. Please enjoy the site, check out our photo's, and please make reservations with our lodging facilities. Waterfront Real Estate and Exclusive Listings from Jocassee Real Estate Company. Search the Upstate MLS system online. 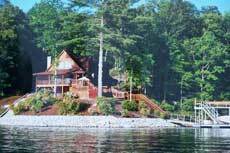 And Nearby Lake Keowee has many Real Estate options as well. Also visit our sister sites..